The entire Mercure Metz Centre team welcomes you. 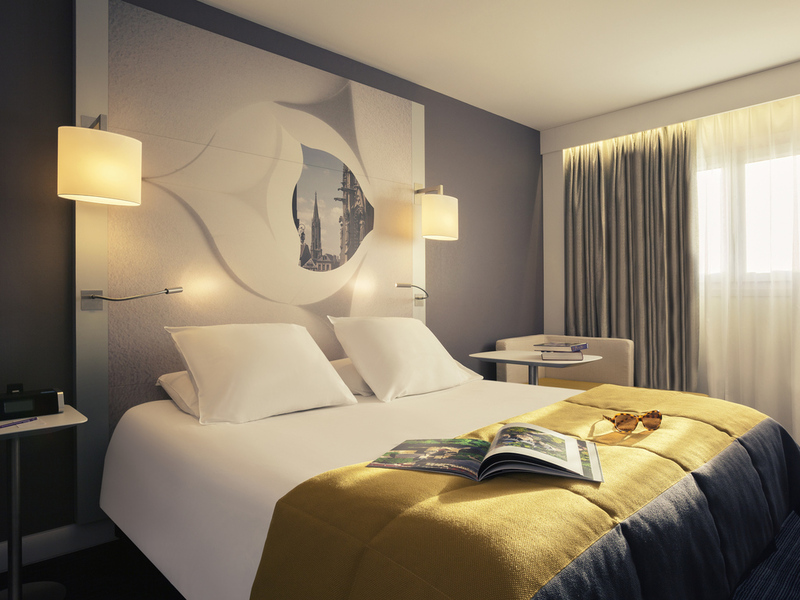 Benefit from our ideal location between Gare SNCF and the city center to visit the Pompidou Centre, the old town and the many shops. In the heart of Metz 328 yd (300 m) from the train station, with close access to different highways, the 4-star Mercure Metz Centre offers comfortable accommodations for business or leisure trips. To satisfy your cultural cravings in the Lorraine capital, you will appreciate the proximity of our hotel to the Centre Pompidou, the Musée De La Cour D'Or and the St-Etienne Cathedral. A combination of elegance and modern comfort, discover Mercure meeting rooms for your seminars and banquets. For exploring Metz, make the most of our proximity to the Centre Pompidou, the Cour d'Or museum and the Arsenal. Looking for shopping and gourmet pleasures? A short walk from the hotel, you can also find numerous restaurants and shops. Choose from various room categories: the Standard Room or the Privilege Room for a wider range of available services. We also provide suites for optimum comfort. Its warm environment, discover generous, contemporary cuisine. Chef Philippe Parker offers a daily lunch menu from Monday to Friday, with recommendations based on the season. Experience it! Come and enjoy our renovated lounge bar, L'Atelier Des Vins and choose from our selection of Mercure wines. Our team looks forward to welcoming you... Enjoy!